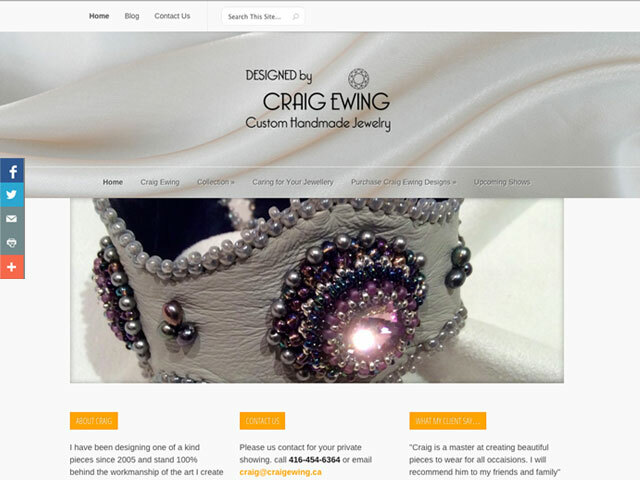 The client, a local jewelry designer, needed a new website to feature his custom-made jewelry. He wanted a site that could be easily updated by himself, have multiple galleries and be able to handle large detailed images of his work. We built a responsive website using a modified WordPress theme, so that the client could update it himself. Features include rotating picturess on the homepage, various galleries, a blog and a contact form.